Recently there has been a lot of attention surrounding the teeny, scrubby, microbeads used in many exfoliants today. It turns out they absorb toxins, are polluting our lakes, and endangering delicate marine life. 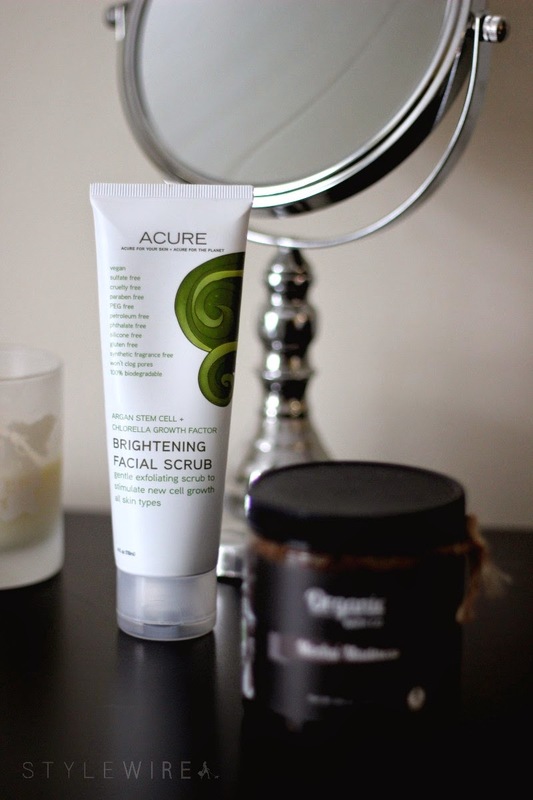 I recently set out to replace the products I was using that contained synthetic microbeads and have found some amazing products that have all natural exfoliants that are safe for the environment and biodegradable. 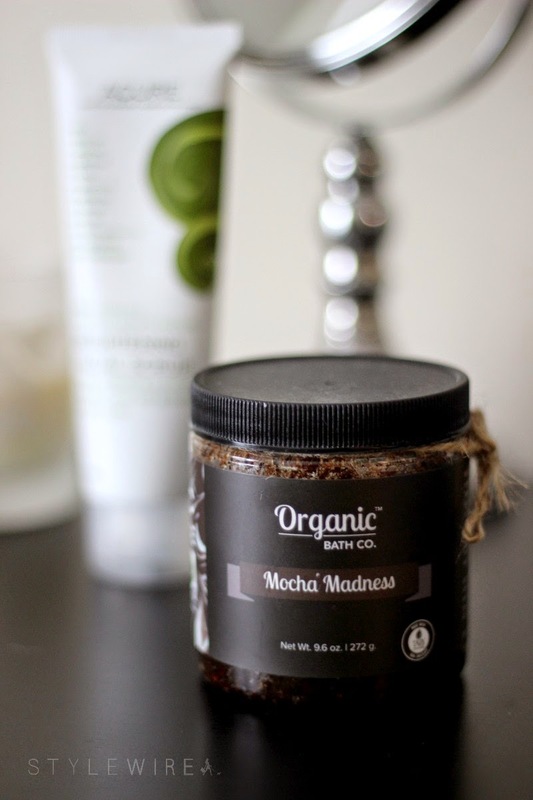 First up is Organic Bath Co.'s Mocha Madness body scrub ($27). This sugar scrub is loaded with fair trade coffee grounds and cacao nibs to smooth away dead skin, in the most delicious way possible. I use this in the shower at least once a week and while a little messy, it's hands down my favorite body scrub and leaves my skin feeling smooth and moisturized with a blend of oils. 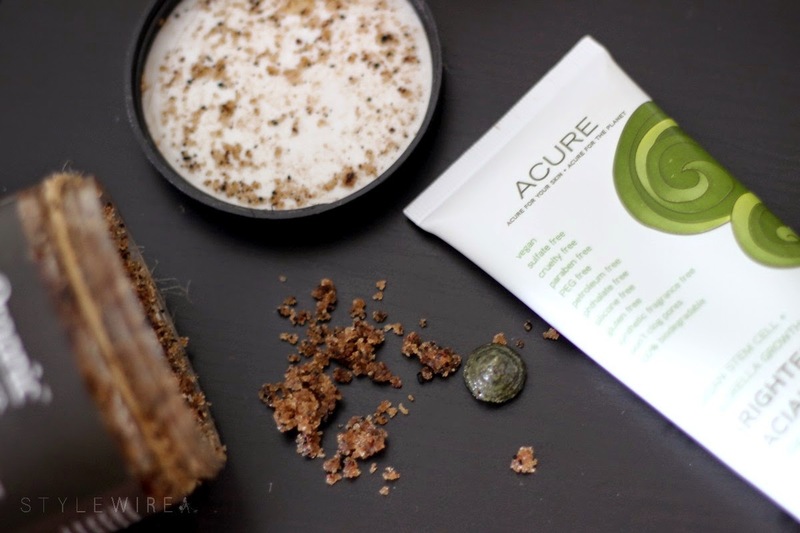 For face, I've been using Acure Brightening Facial Scrub ($15). Sea kelp, green clay, and organic lemon peel combine to deep clean and exfoliate while brightening the overall appearance of your skin. A little of this green goo goes a long way, it's packed with scrubby bits that are not only 100% biodegradable but vegan, and also sulfate & cruelty free. I was very excited to find the entire Acure line available at my local Target at a very affordable price point! I hope you'll consider swapping your microbead scrubs with one of these environmentally friendly options! These little changes can make a big impact.